Computer Sciences Corporation (CSC) is one of the world’s “Big 3” IT services organisations competing with IBM and EDS, as well as a host of emerging players. By the time Mike Shove assumed the role of Managing Director and CEO for CSC Australia the business faced enormous challenges to meet the performance expectations of its US parent, based in Falls Church, Virginia. CSC Australia was operating in an industry and a market that was rapidly changing. The large outsourcing arrangements of the 90’s were drying up, customers had become increasingly IT literate, new competitors were entering the market, and consolidation among key players had begun. Internally, CSC Australia was under constant scrutiny from its global parent. It was also encumbered by a passive-defensive culture, senior leaders with an operational focus, and an executive leadership team that lacked cohesion. Initially, our work together focussed on establishing a clear vision, strategy and scorecard built upon the concept of differentiation through customer intimacy. The strategy work was supported by a rigorous leadership impact process for the top layers of leadership across the organisation. Following the initial interventions, we designed and deployed a sophisticated and comprehensive multi-year transformation process. The process targeted the alignment of the organisation’s performance systems, leadership structures, symbols, and the systematic and ongoing engagement of all 4,000 staff in the strategic journey. In addition to the extensive work undertaken at the corporate level, we worked directly with all eight business and service units to increase cohesion and accelerate effective execution of the growth strategy across the organisation. 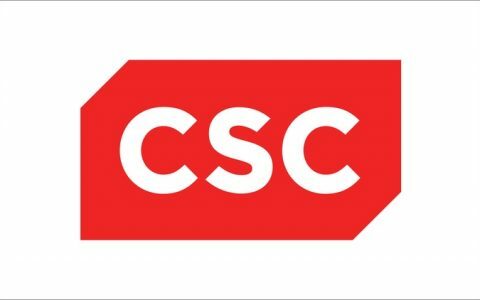 Year on year, CSC has exceeded market growth, achieved compound double digit profit and revenue growth, met all corporate targets, and exceeded $1B in revenue in for the first time in its history. CSC’s major client accounts are now referenceable and CSC’s focus on customer intimacy was recently recognised by the International Customer Services Professionals Association for excellence in customer service. The recent re-measure of CSC’s organisational culture demonstrated significant constructive shifts in ten of twelve styles and thirty-one of thirty-two leading indicators. Similarly, a recent re-measure of the Executive Leadership Team’s (ELT) impact on the organisation has evidenced constructive shifts in eleven of twelve styles, and CSC’s people practices were recognised at the AHRI Awards where they achieved national recognition for excellence in people management. The transformation process in Australia was deemed so successful that TAP has now worked with CSC all around the world, including at global headquarters with the global CEO. “TAP have proved excellent strategic partners to CSC and our relationship has resulted in significant performance improvement across all key measures. For three consecutive years, we have exceeded market growth, achieved compound double digit profit and revenue growth, met all corporate targets, and exceeded $1B in revenue in FY07. Our top twelve accounts are referenceable and we have been recognised by the International Customer Services Professionals Association for excellence in customer service. The recent re-measure of our organisational culture has shown significant constructive shifts in ten of twelve styles and thirty-one of thirty-two leading indicators. Our people practices have been recognised at the AHRI Awards where we achieved national recognition for excellence in people management.